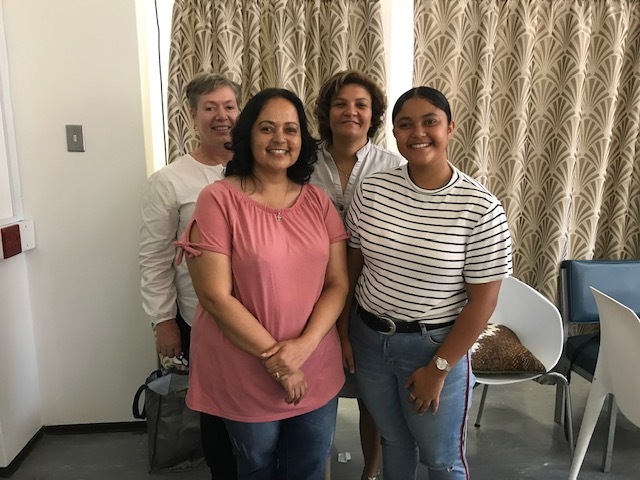 The fourth of February is world cancer day and the breast clinic at Tygerberg celebrated by hosting partners and supporters for an update on developments. The occasion was a "thank you" for people involved in the breast clinic. 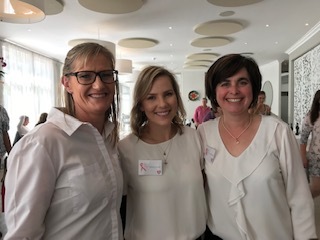 Some of the volunteers are part of national or international breast cancer support groups (such as Reach for Recovery and Project Flamingo). Other projects are unique to Tygerberg Breast Clinic. The Love Box is an example of such a project. 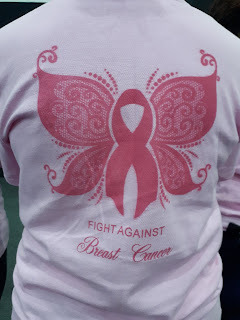 It was started by Zondelia Swartz who had breast cancer. 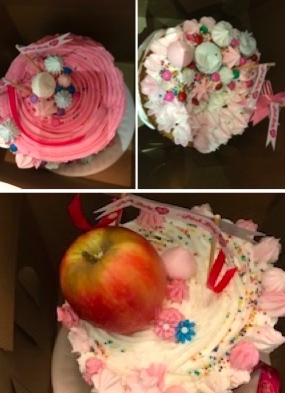 Although she works full time as a teacher, she wanted to give something to women who have breast cancer and perhaps don't have the support that she had. 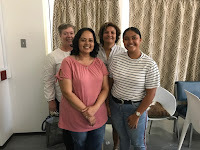 She was unable to be with us on 4/2/19 so came and talked to us and the medical students 10 days ago about her experience and about the work she has been doing. To anyone who hasn't had chemotherapy the contents will seem random and bizarre. Anyone who has had the unfortunate experience of having radiotherapy and chemotherapy will immediately understand what a difference these can make. For a project to be sustainable, it takes more than one person to be involved. Karin Baatjes (a colleague from Tygerberg) has been involved from the start of the program and enlists the help of students when carrying all the boxes to the clinic or wards. 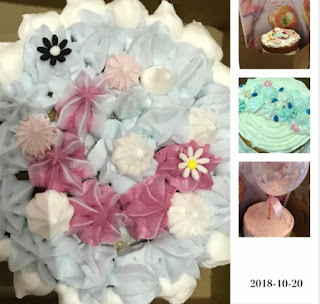 Other people (such as Athalia October) have hosted Love Box parties. Having breast cancer and undergoing treatment isn't only about physical experiences. As a profession, we have been slow to understand the importance of wellness and listening to what is important to patients. 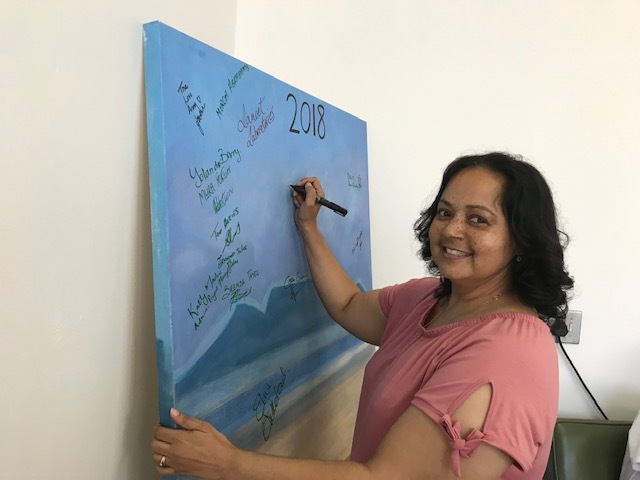 Dr Karin Baatjes has been running a wellness project with the medical students for some time. Every other Thursday, they are asked to choose an aspect of wellness and discuss it with the patients in the waiting room. When Zondelia visited us last week, we changed the routine and asked the medical students to talk to women with breast cancer and have an open ended discussion with them about what barriers to care they had experienced. They gave us anonymous feedback and Zondelia shared her experiences with them as well. She stressed how important family support is and it was lovely for all of us to have her daughter with us. 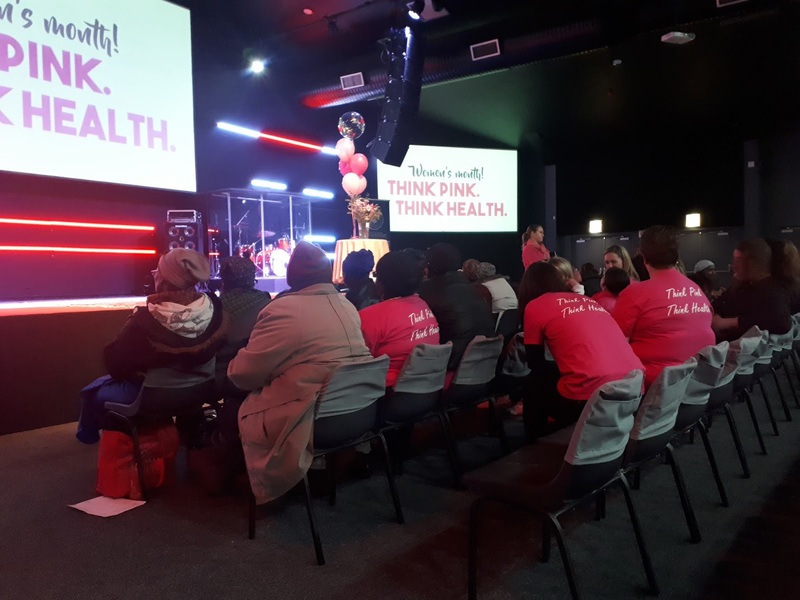 The Love Army, Reach for Recovery, the transport project, Reach to Recovery, Elna Sutherland and the Flamingo Project. From the corporate side, we would like to thank DigIt and Lancet. Last but not least, Penny Steynor painted a scene for us for everyone who has contributed to the clinic to sign. Zondelia signed this last week. 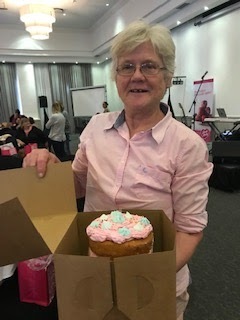 The 9th annual Pink Lady Crafts for Cancer was held at the Lord Charles Hotel in Somerset West last weekend. 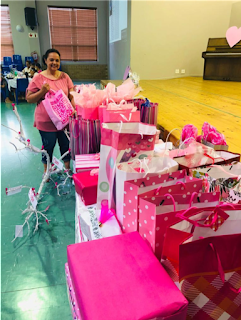 It was the first time that I had the pleasure of attending the day which is organised by Pink Lady® apples The craft day is an annual fund raising event and the money raised goes towards a transport fund which supports women with breast cancer attending Tygerberg Hospital. After a musical interlude from Elandre and Josh (many thanks, particularly for the Cole Porter), we went on to an excellent buffet lunch in the large dining room. Liza, Justus Apffelstaedt, Mike Burton and I all gave brief speeches outlining the transport fund and thanking the sponsors. Having any cancer results in many trips to the breast centre. In a large country such as South Africa, the distances travelled are often long and therefore expensive. For many women, the cost can mean they cannot come for all their cancer treatment sessions. This results in the treatment being less effective. Over the last 12 months, the transport fund has paid for 2332 trips to the hospital for treatment. As the cost of fuel is set to increase next year, the need for the fund will increase rather than decrease. On behalf of the the women who have benefitted from the transport fund, I would like to thank the following sponsors: The Lord Charles Hotel, Rees Dynamic, Top promotions, Tart Supreme Coffee, Blue Jay-Pink Lady apples, TopFruit and Four Paws wine. We were all given goody bags and our thanks to all the contributors. 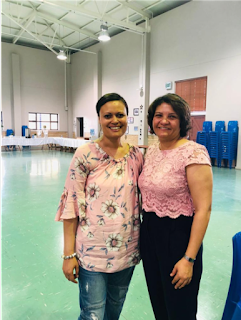 A huge thank you to Liza Matthews and Tania Fourie who coordinated the whole event. I am really looking forward to further projects. On behalf of all the women who have benefitted from your generosity: I thank you. 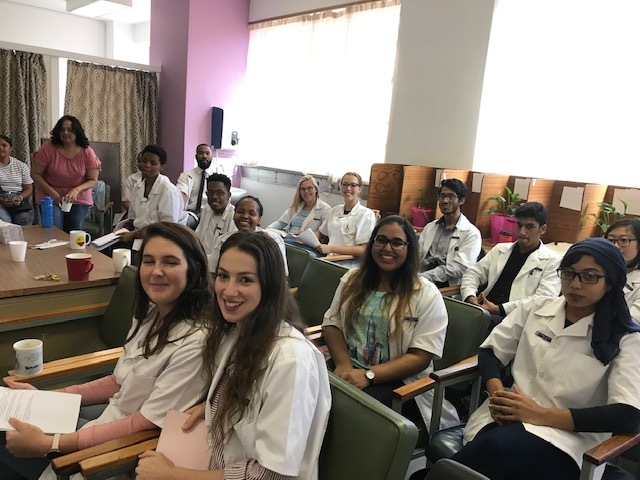 Last week Tuesday, I joined the advanced midwifery students of Stellenbosch University (SU) at the women's month breast education and examination project. 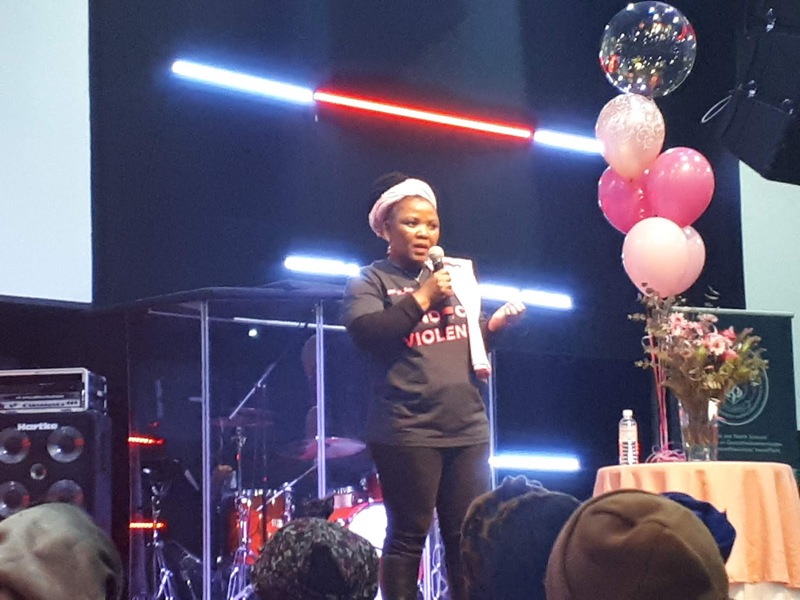 It was held at the View Church in Tableview. The project was in collaboration with SU, View Church and SALT. 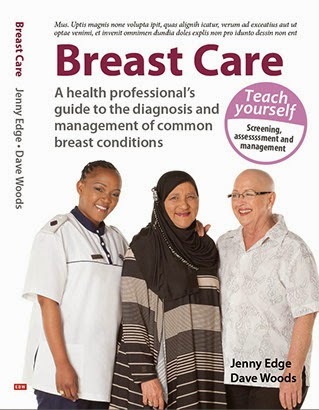 For the past few months, the midwives have attended lectures regarding breast health presented by Dr Edge. They have also been trained in clinical breast examination (CBE) and what to look out for when performing a CBE. The morning started with a brief introductory talk by Dr Leanne Greeff and a song performance followed. 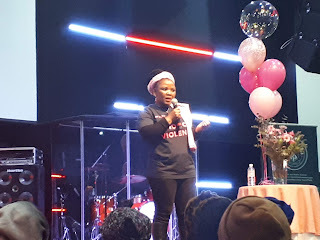 The group then welcomed Dr Nomafrench Mbombo, the Western Cape Minister of Health, to the stage. She spoke about women's health in general and the importance of events like these to educate our communities. 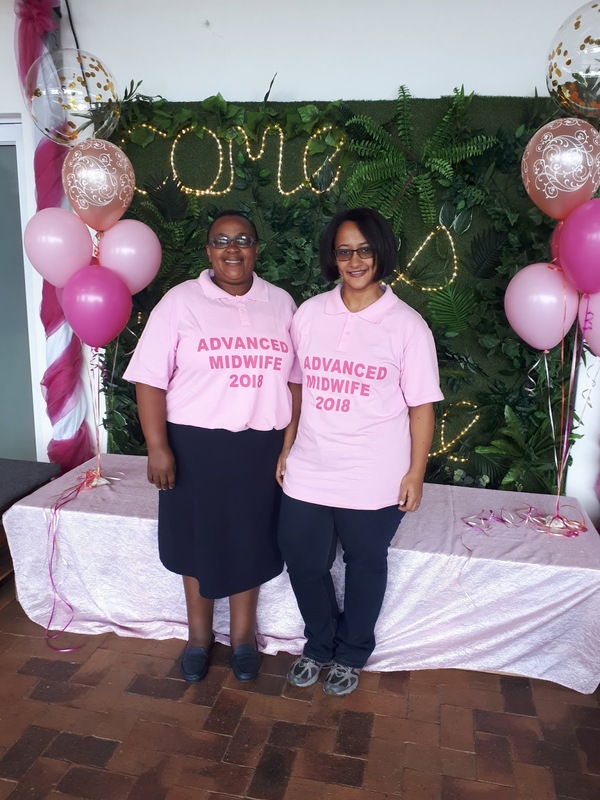 Dr Doreen KM M’Rithaa, the head of the Advanced Midwifery students, spoke next and she was followed by a breast cancer survivor giving a talk about her experience of the process of being diagnosed and treated for breast cancer. 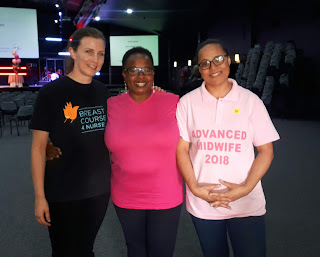 I represented the Breast Course for Nurses and spoke during the next session about the signs and symptoms of breast cancer and also how to perform a breast self-examination and the importance of doing this every month. The talks were aimed at educating the community members about early detection of breast problems. The midwives then each went to their assigned stations that they had set up to ensure privacy of the person being examined. The community members were offered a CBE by the midwives. Prior to having the CBE, the person's history was taken by members of the SALT group. I was there to assist with any queries or concerns the midwives had about the people they were examining. Just over 150 members of the community received a CBE with +/- 12 people needing referral to the clinic. The doors stayed open until 16h30 when the last few people were seen and examined. The feedback received was that the programme was very well done and very much needed. The midwives did a fantastic job! Well done to each and every person that helped with the preparations of this day, hopefully the first of many to come. Log in to Facebook, like our Breast Course 4 Nurses page and enjoy the recording of the event shown on the Expresso television show! Last month, I had the privilege writing an article for Buddies magazine. I chose to write about the the ABS (Association Breast Surgeons) conference in Birmingham, UK. It was an excellent conference. Unusually for a surgical conference, there was a session devoted to bullying in the workplace. 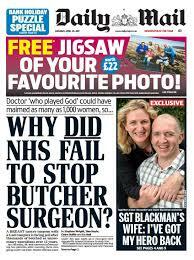 Ian Patterson was a surgeon working in the Midlands, UK. He has recently been convicted for over-operating on women without breast cancer and doing unconventional operations on women with breast cancer. He has been sentenced to 20 years in prison. 1. He over-managed and over-operated on women: he exaggerated their risk of breast cancer and sent them for too many investigations. 2. He did an operation that he made up called a “cleavage sparing mastectomy” It is a mastectomy that results in a lot of breast tissue left after surgery which clearly results in a more “natural looking” breast as a lot of the “natural breast tissue” was left after the operation. Doing Oncoplastic surgery is complex. As the cancer surgeon, we have to sometimes accept that removing skin over the area of the cancer will leave a scar in a less acceptable place. THE MOST IMPORTANT THING ABOUT BREAST CANCER SURGERY IS THE ADEQUATE MANAGEMENT OF THE CANCER. That should never be compromised for a more acceptable cosmetic outcome. Anyone who has breast cancer is discussed at a multi-disciplinary meeting attended by oncologists, surgeons, radiotherapists, pathologists, radiologists, psychologists, nurse practitioners etc. These meeting are highly structured. So how did Ian Patterson manage to treat so many women in an unconventional manner for so many years. He was a charismatic, charming bully. For many years, sexist or racist behaviour has been addressed in the workplace. Bullying has been harder to define. Harder to regulate. A comment made by a colleague may be interpreted as bullying by one member of staff but not thought of as being offensive by another. There has been a culture of telling people to toughen up. An impression that the “victim” of bullying is to blame rather than the person doing the bullying. Ian Patterson was reported in 2003 to hospital management. A report was commissioned. He was investigated by a head and neck surgeon. (Not a breast surgeon). In 2007, he was reported again. He was allowed to choose the panel who investigated him! The whistle blower was noted to have “personal difficulties”. Mr Patterson was asked to refrain from doing unconventional treatment but was allowed to continue practising. At the end of the day, it was his patients who brought charges against him. He was found guilty and his work colleagues were criticised for not being more forceful in their objections to his management. How can we learn from this sorry story and prevent it happening to an individual? Wherever possible, choose a surgeon who specialises in breast cancer management and regularly attends breast conferences and ensure the surgeon works in an MDT.